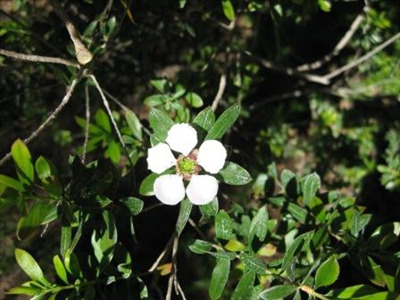 Attractive shrub 6' with dark green reddish foliage and white flowers in spring/summer native to Tasmania. Grows well in full sun or shade. Tolerant of heavy-moderate (20F) frosts and extended dry periods once established. Excellent screen or hedge plant and good cut flower. Should grow well in Washington and Oregon. 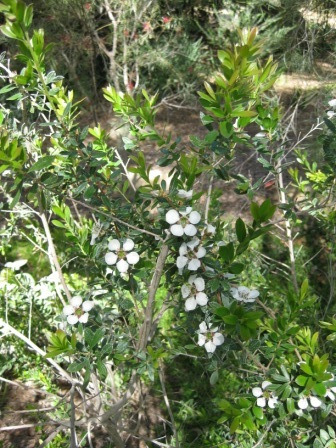 Propagation Information: Seed for Leptospermum nitidum grows readily from seed. 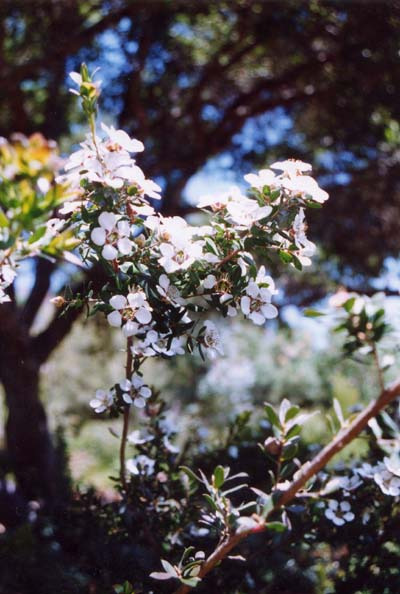 The Leptospermum nitidum 'Flat Rock' is grown from cuttings.